Fighting takes place all day for the stronghold south of Lens known as “Green Crassier”. Canadians gain a foothold in it and are able to hold against counter-attacks. 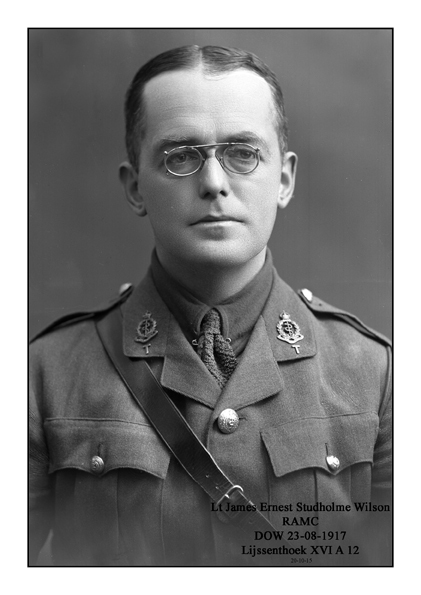 Captain James Ernest Studholme Wilson MC (Royal Army Medical Corps) dies of wounds at age 31. He is the son of the Reverend Studholme Wilson Rector of Millbrook. Second Lieutenant Vincent Aloysius Lyons (Highland Light Infantry) is killed in action age 22. He is a Snell Exhibitionist and Newlands Scholar at Bailliol College, Oxford. Second Lieutenant Wedderburn Mackenzie Gardner (Seaforth Highlanders) dies of wounds received the previous day. He is the son of Councillor P Gardner of Edinburgh. Corporal S J Darby MM (Bedfordshire Regiment) is killed in action at age 21. He is the youngest of nine brothers, all of whom served. Lance Corporal George Ernest Botting (Royal Marine Light Infantry) is killed at age 29. His brother will die of disease on active service in May 1918. Gunner Grant Douglas (Canadian Field Artillery) is killed at age 29. His brother was killed in August 1916. Private John Samuel Ballard (Duke of Cornwall’s Light Infantry) is killed in action. He is the middle of three brothers who are killed in the Great War. Private Charles Holebrooke (Welsh Regiment) is killed at age 38. His brother will be killed in October and they have two uncles who will also lose their lives in the Great War. Gunner Percy William Pendrick (Royal Field Artillery) dies of wounds at age 26. He is the middle of three brothers who will lose their lives in the Great War.